Provide comfort for the family of Dolores Horst with a meaningful gesture of sympathy. Funeral services for Dolores Horst age 99 of Wisner, NE will be held on Tuesday, April 23, 2019 at 10:30 a.m. at St. Paul's Lutheran Church in Wisner, NE with Pastor Jared Hartman officiating. Interment will be in the Wisner Cemetery. Visitation will be on Monday from 4:00 p.m. to 8:00 p.m. at the Minnick Funeral Home in Wisner and will continue on Tuesday from 9:00 a.m. until the time of the service at the church. 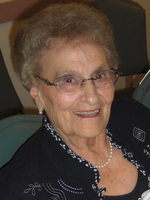 Dolores passed away on Tuesday, April 16, 2019 at the Wisner Care Center. Dolores Ione (Clatanoff) Horst was born at home north of Howells, NE on July 13, 1919, the daughter of Ben and Lizzie (Broekemeier) Clatanoff. Dolores was baptized into the Christian faith on Sunday, August 17, 1919 by Rev. Rudolph Norden, at St. John’s Lutheran Church, rural Howells, NE. She was then confirmed on Sunday, May 22, 1932 by Rev. Norden. She attended Cuming County Rural School District #56 and St. John’s Parochial School. She graduated from Wisner High School with the class of 1936. On Sunday, January 12, 1941, she was united in marriage to Ivan Horst at St. John’s Lutheran Church, rural Howells, NE. They farmed and lived south of Wisner until 1967, when they moved into Wisner. Ivan went to be with his Lord on January 20, 1995. Dolores was a faithful member of St. Matthew’s Lutheran Church, rural Wisner and then St. Paul’s Lutheran Church in Wisner until her death. During this time she was organist and Sunday school teacher at St. Matthew’s and later a faithful worshiper and choir member of St. Paul’s. She taught in Cuming County rural schools for five years, and took classes at Wayne State College. After her move to Wisner, she worked for the Wisner, Pilger schools and as a bookkeeper for the Northeast Coop for many years. Dolores was preceded in death by her parents, husband-Ivan, great granddaughter-Amelia Lorang, two brothers- Gilbert and Emma Clatanoff, and Ewald and Arlene Clatanoff, three sisters-Regina and Herman Meyer, Arlene and Willis Rabe, and Eleanor and Art Bloedorn, and brothers-in-law-Waldon Tonjes, and Leland and Caroline Horst. 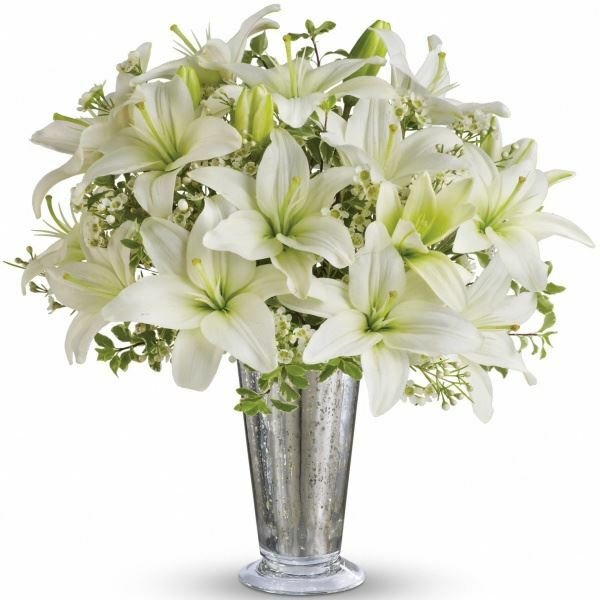 To send flowers in memory of Dolores Horst, please visit our Heartfelt Sympathies Store. Provide comfort for the family of Dolores Horst by sending flowers. Heartfelt Sympathies Store purchased flowers for the family of Dolores Horst.